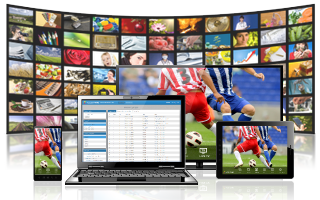 ACCESS offers TV operators a pre-integrated, end-to-end solution software solution, designed to open up new revenue streams by delivering next generation multiscreen user experiences, TV everywhere solutions and social TV. Operators who choose ACCESS have the added confidence of deploying a solution from an expert backed by the experience gained through shipping software for over one billion devices worldwide. 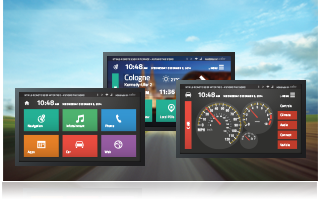 ACCESS provides embedded solutions that are integrated with connected car human-machine-interfaces (HMI), device management, dashboard and multimedia systems. ACCESS’ solutions offer car manufacturers and tier-one suppliers the added confidence of deploying market proven technologies that deliver interactive content in resource constrained environments. ACCESS solutions also allow OEMs to automatically aggregate and analyze the considerable amount of consumer data that comes from the connected car, helping them to offer targeted services and to better understand driver behavior. ACCESS offers vendors a one-stop shop for the addition and integration of multiscreen functionality with existing and new middleware systems. 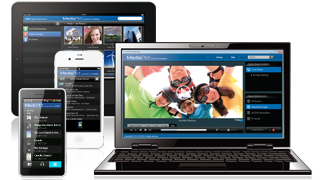 ACCESS’ HTML5 solutions, DTV browsers, DLNA media-sharing, over-the-top (OTT) and social TV solutions are based upon open standards and are pre-integrated with each other. So, vendors can quickly design and deploy middleware solutions that meet all the multiscreen requirements of TV operators, device manufacturers and consumers. 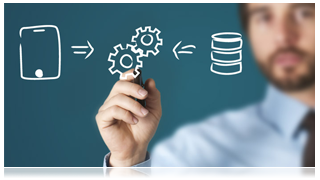 Manufacturers embedding ACCESS’ solutions within their devices are choosing industry proven, feature rich solutions based on open standards that are backed by the experience ACCESS has gained through shipping software for over one billion devices worldwide. 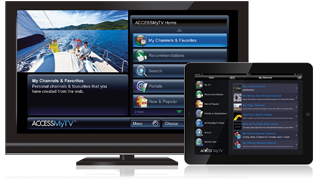 ACCESS provides the quickest and easiest route to providing consumer electronics devices with advanced HTML5 solutions, DTV browser functionality, DLNA media-sharing, over-the-top (OTT) and social TV services. ACCESS offers over-the-top (OTT), internet service and content providers a simple and powerful route to launch new services which deliver content to consumers and monetize OTT video content, games and apps. ACCESS’ portfolio of award winning solutions are IP-centric, white labelled and have been designed to break down the technical barriers that are preventing content owners from releasing the full potential that the IP-video medium holds.